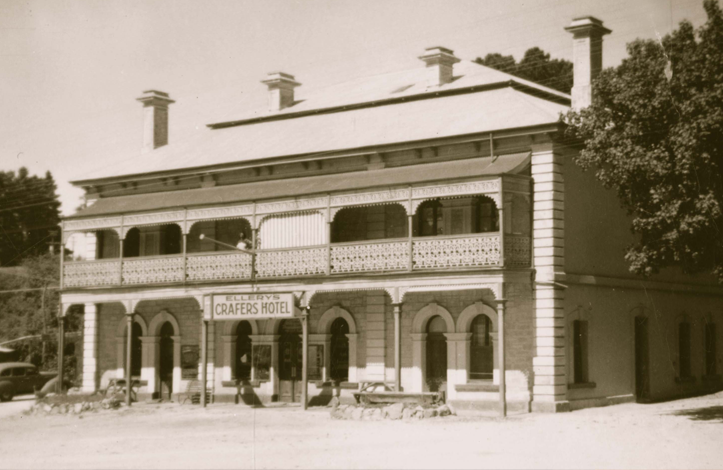 Steeped in history as one of Adelaide’s first pubs, and now locally owned and managed, The Crafers Hotel is conveniently located just off the Crafers exit from the M1 Princes Highway, 20 minutes from Adelaide’s CBD. The Crafers is a rustic collaboration of old and new; celebrating natural materials such as reclaimed wood, leather, iron, copper and exposed stone to create a cosy, traditional Aussie pub atmosphere with a contemporary dining experience. Our menu includes the best local and seasonal ingredients, transformed by Chef Stefane and his team into wholesome, delicious meals. Pair your meal with a drop from our unique and extensive wine lists and specials, or from our selection of on-tap and craft beers. We look forward to warmly welcoming you into our family of loyal locals!